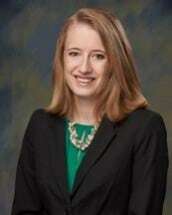 Ms. Julie Rook Gold is an associate with Gilbert Employment Law focusing on representation of federal employees before the Equal Employment Opportunity Commission and the Merit Systems Protection Board. Ms. Gold also represents employees who have received proposed disciplinary actions, such as proposed terminations and propose suspensions. Furthermore, in 2014, she served on the team that successfully represented an appellant before the Special Panel. Ms. Gold is currently a member of the Florida Bar's Diversity & Inclusion Committee. Ms. Gold initially joined Gilbert Employment Law as a Law Clerk in January 2007 and became an Associate Attorney in December 2008. Ms. Gold has worked for Gilbert Employment Law since that time, except during 2013 at which time she worked at another firm also specializing in federal sector employment law. Ms. Gold earned her Juris Doctorate from the America University Washington College of law. During law school, Ms. Gold was a member of the American University International Law Review. Ms. Gold graduated Phi Beta Kappa from Purdue University with a Bachelor of Arts in Psychology and a minor in Mathematics.